From Thursday Nov. 12 to Saturday Nov. 14, Case Western Reserve University’s Social Justice Institute (SJI) held an Intergenerational Think Tank, titled Educating for Struggle: Social Justice, Empathy, and Social Transformation. The SJI had previously held think tanks in 2010 and 2013. This year’s featured a documentary screening, a speech by feminist and activist Angela Y. Davis, several plenary discussions and a closing performance by hip-hop duo Rebel Diaz. The Social Justice Institute Think Tank commenced Thursday, Nov. 12, as about 100 people gathered in Strosacker Auditorium to watch Karina Epperlein’s feature-length documentary, “Finding the Gold Within.” CWRU Film Society and the Social Justice Institute transformed the large lecture hall to an intimate movie theater, selling snacks and greeting audience members as they entered. 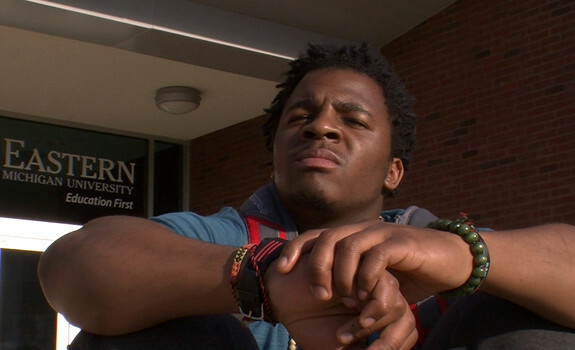 The documentary followed six black young men from Akron, Ohio: Brandyn Costa, Stacee Starr, Imani Scruggs, Tyler Jones, Darius Simpson, and Shawntrail Smith as they navigated their college experiences. The documentary also focused on their participation in the intimate circle of Alchemy Inc from sixth grade to the present. Three of the film’s protagonists, Simpson, Costa and Scruggs, who is a current social work student in the Mandel School of Applied Social Sciences, were present in the audience and hosted a question and answer session immediately after the film. During the discussion, the three men updated the audience on their lives and endeavors since the documentary was completed. It was clear that the film elicited strong sentiments of support for the three men and as they stood on the stage, Strosacker transformed once again, this time from a movie theater to a community support network. Other audience members offered the men advice, while some wanted to know how to help expand the Alchemy Inc program. As Costa, Starr and Scruggs candidly engaged with the audience, they drew examples from the myths they learned in Alchemy Inc, eagerly sharing the wisdom that had been once shared with them. The night concluded with an impromptu spoken word performance by Simpson titled, “Letter to My Unborn Son,” which received a standing ovation. 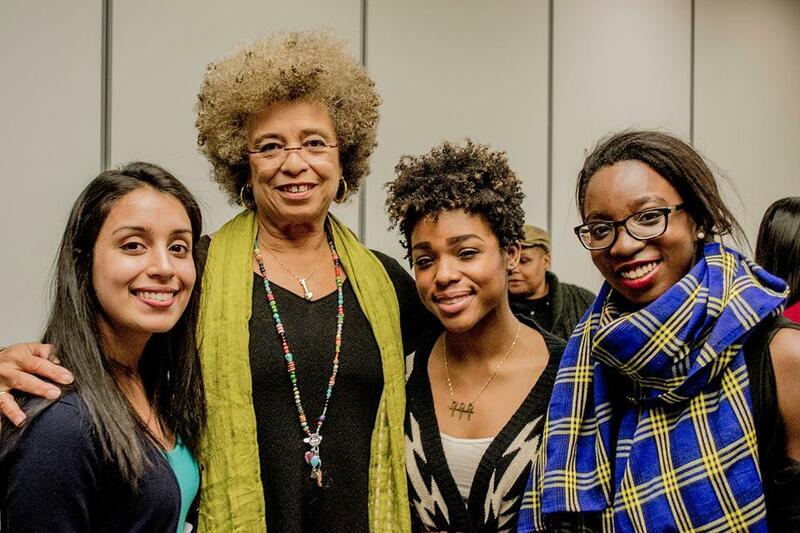 When Angela Y. Davis addressed the Case Western Reserve Community at the Church of the Covenant on Nov. 13, she spoke starkly about the struggles facing black people in the United States. “Over the last year or so, we have been very much opened on a persistent assault on black lives, from racial profiling and police violence to the racist, institutionalized violence …” Davis said. She immediately cited the deaths of Tamir Rice and Tanisha Anderson at the hands of police last November as examples of the “persistent assaults” faced by the black community. Rice, a 12-year-old boy, was killed when officers mistook his toy gun for a real weapon. Anderson, whose family reported that she was disturbing the peace and then agreed to let the police take her to the hospital for a mental evaluation, was killed when an officer knocked her to the ground while trying to handcuff her. “Of course these are not new, it’s just that the media has been paying more attention to these assaults over the last year in the aftermath of the Ferguson protest,” Davis said. According to Davis, our society experiences amnesia when examining racial conflict in our own country. Instead of eliminating the institutionalized racism and violence that slavery produced, the U.S. chooses a band-aid approach. Davis said that only the immediate problems, such as police violence, are addressed, while their historical depth is ignored. Another chronic problem that requires a more historically grounded solution is cycles of violence, which ultimately contribute to an economy of violence. Expanding upon her question, Davis described how people don’t know how to solve conflict anymore. So they call the police. Then, they see officers use violent behavior to solve the problem, and people learn to continue the cycle of violence. 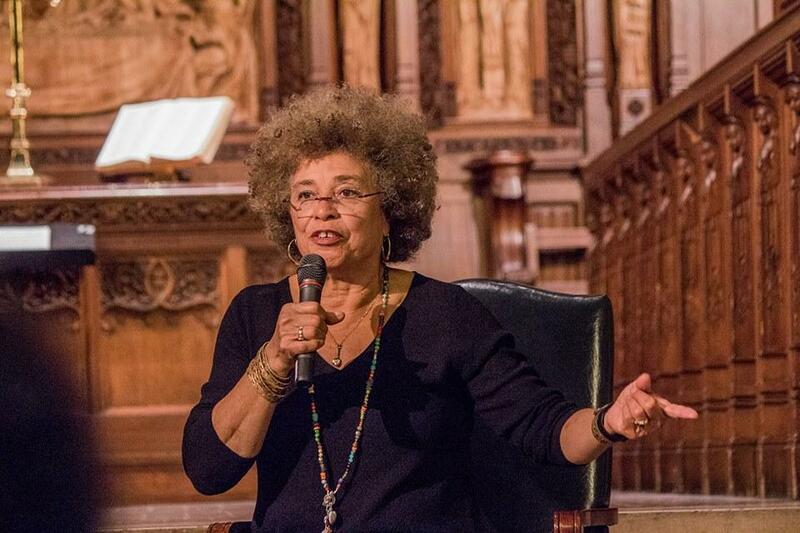 For Davis, the epitome of our inability to solve conflict without violence is the prison system, or as she calls it, “the prison-industrial complex.” She points out that people often leave prison more violent than when they entered it, and that it unfairly targets black men. According to The New York Times’s Upshot, 1.5 million black men are “missing” from everyday life because they are either dead or in jail. For Davis, this demonstrates that they are victims of the economy of violence she is fighting against. Their families are collateral victims, especially as they are still just as likely to be the targets of state violence thanks to racial profiling and other forms of institutionalized racism. Calls for reform aren’t enough, though, said Davis. She wants demilitarization of the police, followed by the disarming of the police and eventually the disarming of everyone else, as well as the abolition of the prison system. On Saturday the conference hosted three plenary sessions in Ford Auditorium focused on empathy, social justice and social transformation. Each session had a facilitator and several presenters who first spoke individually and engaged the audience’s questions collaboratively. The first session explored empathy and raised questions about empathy in business, empathy in doing research and empathy in criminal justice. Community activist Zoe Renee Lapin facilitated the session featuring Jaqueline Acho, CWRU sociology professor Timothy Black and Damian Calvert, a returning citizen and advocate for reentry. The second session, focused on social justice, was facilitated by Maxie Jackson III from 90.3 WCPM ideastream and featured CWRU Law professor Ayesha Bell Hardaway, Princeton University African American Studies Professor Keeanga-Yamahtta Taylor and activist Carol A. Apaestegui who was a former undocumented child. Central to the discussion was the meaning of “citizenship,” specifically regarding reparations for African Americans, Black Lives Matter and the effects of America’s immigration policies and discourse. The last session, titled “Social Transformation,” featured journalist, author and activist Bakari Kitwana. The focus of the session was on LGBT rights legislation, Workers’ Rights and Union Legislation and the current actions and demands for justice on behalf of Tamir Rice and those affected by the brutality of the Cleveland Police. 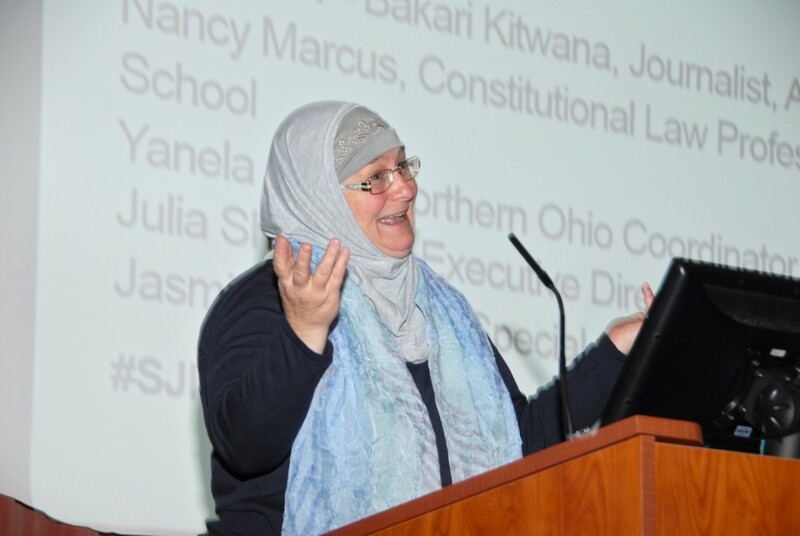 The presenters were Nancy Marcus, Founding Constitutional Law Professor at Indiana Tech Law School, Yanela Sims, Northern Ohio Coordinator for the Service Employees International Union, Sandra Ellington and Julia Shearson, Executive Director of the Cleveland Chapter of CAIR-Ohio. Videos of the entire conference, including each of the plenary sessions will be available on the Social Justice Institute website. The Think Tank ended with a performance-talk from Rebel Diaz, a hip hop group with roots in Chicago, Chile and the South Bronx, NY. 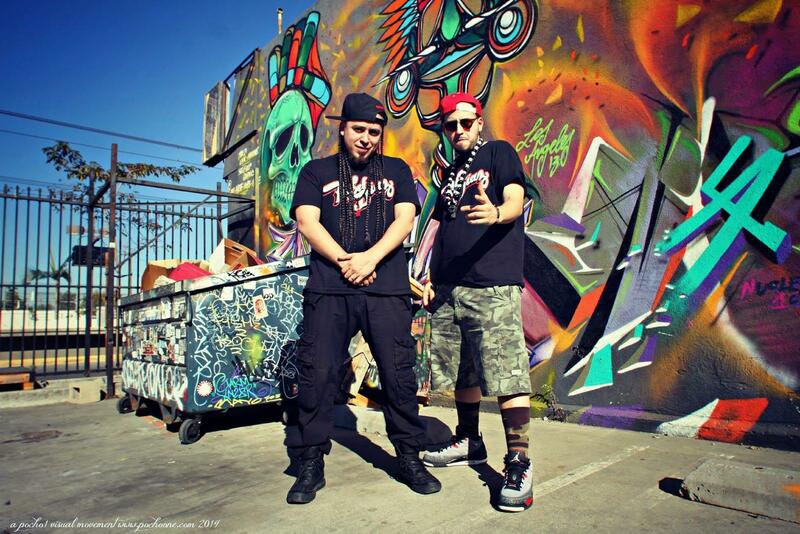 The music performance consisted of both visual and auditory components and layered relevant historical sound bytes underneath the live vocals of Rebel Diaz. Each musical performance was followed by a crash course in the historical context of hip hop given by the artists themselves. They discussed how hip hop was impacted by immigrant communities in South Bronx, housing projects, anti-gang loitering laws and many other factors. The vocal performances were interactive, as were the informational parts, and both connected many of the themes brought up throughout the Think Tank. As I got up and looked around, I saw a kid and his mom dancing together, some older community members nodding their heads to the music, previous speakers from the conference swaying and clapping and many members of the Social Justice Institute dancing freely, with pure joy.